"ZF Power Steering Reservoir --. ZF POWER STEERING RESERVOIR. Condition : New. Therefore all implied warranties that may apply to your part are limited to the duration of this written warranty. Each warranty gives you specific rights, and you may have other rights which vary from state to state. Fits 1998-2003 XJ8/XJR/VDP, 1997-2003 XK8, 2000-2006 XKR, XJ6 and XJ12 Models. It is ZF Number PA 66 GF 25. Power Steering Fluid Reservoir and Cap in excellent condition. Audi A4 96-97 2.8L power steering pump. Over the years we have accumulated shelf loads of parts that were misordered, mis-sent, or never picked up. We are letting them go for under list cost and maybe even under what we paid for them. ▪ All electronics are tested before removed from vehicle. Audi Quattro 100, 200, 5000. Steering Pump. 2002-2008 Mini Cooper Electric. 2002-2006 Mini Cooper 1.6L. 2007-2008 Mini Cooper Convertible 1.6L. Power Steering Pump Motor. The warranty period starts when you take possession of the part. No labor warranty is provided. Genuine ZF. Power Steering Pump. OTHER ZF PART NUMBERS ARE AVAILABLE. THIS PUMP IS A REBUILT UNIT. ALL SEALS AND BEARINGS ARE NEW AND ALL HARD PARTS ARE REPLACED AS NEEDED. YOU MAY NOT RECEIVE THIS EXACT UNIT. FLUSH SYSTEM THOROUGHLY AND MAKE SURE FRONT END IS NOT FROZEN ( TIRES SHOULD SWING EASILY FROM STOP TO STOP) AND MAKE SURE THERE ARE NO LEAKS IN THE REST OF THE STEERING SYSTEM. Up for sale is an original ZF power steering pump and suction hose for VW. You will receive the part pictured. Item will ship immediately. Free shipping is included with your purchase. Reference number: 32 41 1 141 058. Fits: BMW 535i, 88-8/92. 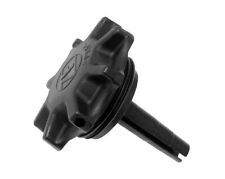 1 - Reservoir with Cap - Power Steering Fluid - ZF - 32416851217 1 - Reservoir Cap Seal - Power Steering Fluid Container - ZF - 32411128333 New - ZF 7672 472 232 / 7672472232 / 32 41 1 128 333 / 32 41 1 097 164 / 32 41 6 851 217 / 32411097164 / 32416851217 / 32411128333 Power Steering Pump Fluid Reservoir Tank Cap Seal. Quality OEM ZF Factory Remanufactured Steering Rack for VW Passat models as listed below -. VW Passat 2.0 1992 & 1994. VW Passat CL 2.0 1992. VW Passat GL 2.0 1992, 1993 & 1997. VW Passat GLS 2.0 1995-1996. 2002-2006 Cooper R50 R52 R53. 2007-2008 Cooper Convertible R52. Z3 1996-2002. Quality re manufactured O.E. power steering pump. A properly rebuilt automotive part. Worn out, missing or non-functioning components have been replaced with new or rebuilt components.”. Here we have a ZF power steering pump that was removed from a BMW E32 after an accident. 10/1985-03/1994 7 Series E32. (part number 32421706632). (part numbers 32411131242,32421713529). Part Number: SP16235. Power Steering Pump Fits 1988-1991 Chrysler Dodge Plymouth SP16235. Plastic Reservoir ZF Pump. Plastic Reservoir - ZF Pump. This fits a 1992 Chrysler New Yorker Fifth Avenue Sedan 4-Door, 3.8L, 230 Cu. ZF7672995270W. BMW E23 Power Steering Pump. ZF 7672-995-270W. 733 Series. Condition: New. ZF: 13276990. PULL OFF OEM POWER STEERING PUMP. Though very unlikely, in the case where a part is faulty, we will gladly replace the part if one is available. Warranty Information. Best Diesel CALL or TEXT US at ANYTIME and Let Us Arrange the Details!! English/Spanish PHONE: [ 1] 865-415-7068 PARTS SHIP FREE! 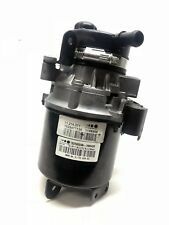 PART SPECIFICS Price: $169.99 (NO CORE CHARGE) Make: ZF LENKSYSTEME POWER STEERING PUMP PART#: 7685-955-225 / 14-14407-002 / 150 BAR Stock#: 319457 Description: (USED) ORIGINAL FACTORY ZF LENKSYSTEME POWER STEERING PUMP, STOCK# 319457. ALL OF OUR PARTS ARE INSPECTED BEFORE SHIPPING. 30 DAY WARRANTY! For more information contact us directly. [ 1] 865-415-7068 or send us a message through Ebay. PRICE(USD): $169. They also don’t include the pulley and spare hardware. I AM HERE TO HELP, NOT STEAL YOUR MONEY. 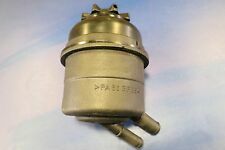 VW B5.5 PASSAT 1.8T Power Steering Pump 8D0 145 156K, tested in good used condition. PASSAT 2003. Make / ModelVOLKSWAGEN PASSAT. PASSAT 1998 -1998 gasoline, 4 cylinder. PASSAT 1999 -2005 1.8L (turbo gas). 1984-1985 E30 Including Filter. 1991 E30 Including Filter. 1986-1988 E30 Including Filter. 1991-1998 E36 Including Filter. 1992-1997 E36 Including Filter. 1995-1999 E36 Including Filter. 1984-1987 E30 Including Filter. This Listing Includes: 1 - 7625955146 - ZF - Power Steering Pump Note : Made in Germany! New - ZF 32 41 6 778 424 / 32416778424 / 7625 955 146 / 32 41 6 778 425 / 32416778425 Power Steering Pump. I have for sale a Jaguar Power Steering Pump for the 95-97 XJ6 and XJR. The pump is in very good condition. LAND ROVER. RANGE ROVER. This pump will fit the following vehicles OEM Numbers. QVB 000110. All Engines. E500, e350, c230, c240, c250, c300 c36 c63 c65 s320 s350 s420 s430 s500 s550 s55 s600 cl500 cl55 cl600 380sl sl320 sl500 sl55 sl600 ml320 ml350 ml430 ml500 ml55 ml63 cls500 cls550 slk230 slk320 slk32 clk320 clk430 clk500 clk55 r350, r500. Reference number: 32 41 1 140 908. Item: Power steering pump, remanufactured. Here we have a ZF vane pump/water pump for BMW E30 E36. This is a used pump that was removed from a running driving 1984 325i. This pump fits several models. Reference number: 32 41 1 141 574. Item: Power steering pump, remanufactured. Reman Genuine OEM ZF Power Steering Pump. PN 054-145-155-K. Warren, MI USA. Parts Place, Inc. Each part will have a Four Digit ID Label. Power Steering Pump for Audi Quatro 100. We have been doing this in wholesale for a few years before we decided to bring the deals directly to you! Best Diesel CALL US ANYTIME and Let Us Arrange the Details!! 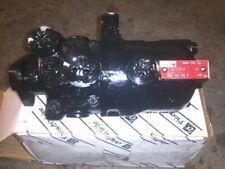 English/Spanish PHONE: [ 1] 865-415-7068 PART SPECIFICS Price USD: $289.99 (NO CORE CHARGE) Make: ZF LINKSYTEME 768 SERIES POWER STEERING PUMP OFF OF 1999 CATERPILLAR 3176 PART#: 7685955807/ 15799358 (GEAR PART# 7E-8691) Bar: 170 BAR Stock#: 319125 Description: (USED) ORIGINAL ZF LINKSYSTEME POWER STEERING FROM 1999 CATERPILLAR 3176B, OEM PART# 7685955807/ 15799358 (GEAR PART# 7E-8691), STOCK# 319125. For more information contact us directly. [ 1] 850-445-0375 OR 786-373-2945 or send us a message through Ebay. PRICE(USD): $289.99 For more information about this listing, shipping, technical questions, warranty, terms and conditions, you can CALL us at [ 1] 865-415-7068 and email us through Ebay. We can ship your PART where you need it on the road. This pump will fit the following vehicles OEM Numbers. All Engines. PART # LR014089 (GZF). FOR LAND ROVER LR4 5.0L V8 PETROL & 3.0L SC V6 PETROL. LAND ROVER POWER STEERING PUMP. FOR RANGE ROVER SPORT 2010 - 2013 5.0L & 5.0L SC V8 PETROL. we also speak the following languages. 2002 - 2006 Mini Cooper. 2007 - 2008 Mini Cooper Convertible. Note to Fed Ex Overnight Services: These are available to most Zip Codes at shown rates! 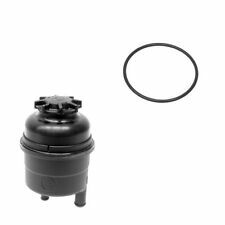 Reman Genuine OEM ZF Power Steering Pump. PN 026-145-155-B. Warren, MI USA. Parts Place, Inc. Each part will have a Four Digit ID Label.